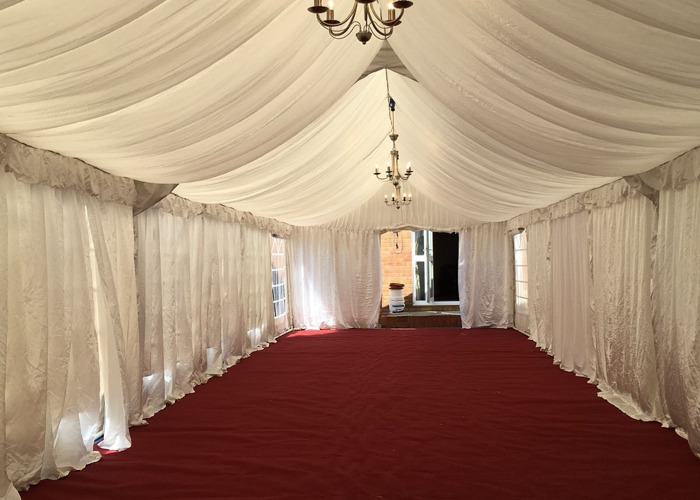 We have other sizes available starting from 4x4m going up in two metre lengths to whichever length you require. We also have a range of 6m structures starting from 6x6m also going up in two metre lengths. We will set up a day before your event and pick up the day after your event.